And that’s a quote from Matthew Avery, Director of Research at Thatcham, Euro NCAP’s UK test centre, who said of the Volvo XC60 crash test: “The new Volvo XC60 has aced the exacting test protocols. It’s exceedingly rare for a vehicle to score so favourably across the board.” Naturally, the new XC60 came away with a 5-star rating, with much of its success being down to the quality and effectiveness of the Volvo XC60 Safety Assist system. To experience Volvo XC60 safety for yourself, just ask us about a test drive. So good are Volvo XC60 safety systems that they exceed the requirements of the Euro NCAP tests. For example, additional systems such as Turn Across Path and Run off Road are not even currently covered by the Euro NCAP testing protocols. For the systems that were tested, the Volvo XC60 Safety Assist system scored an incredible 95% in the tests, which is 40% more than the average achieved by all other cars tested in 2017 to date. 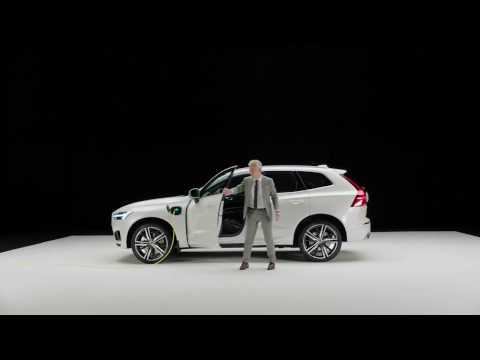 The XC60’s Autonomous Emergency Braking system scored the maximum possible points, whilst the crash test proved that the XC60 is one of the best cars ever tested for adult protection. “Above the bar set by Euro NCAP” , says Thatcham. But we say you get a whole lot more too, like a bold design, a beautiful interior and a car that makes every drive a pleasure. Just get in touch to find out more.